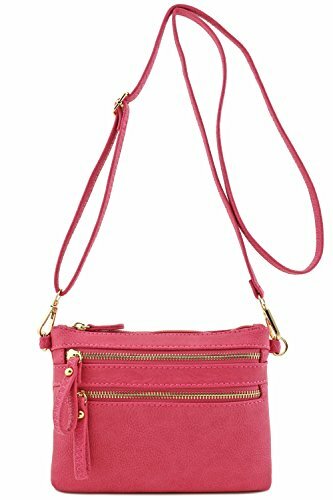 Multi Zipper Pocket Small Wristlet Crossbody Bag (Raspberry) | What Should I Say? Multi Zipper Pocket Crossbody Bag, Total 3 zipper pockets at outside and 1 zipper pocket inside. It can be used as a wristlet purse or as a crossbody bag.